I’ve had a few deliveries in this past few weeks. First off I received my little $1 Wednesday order from Fabulously Planned. Love the coffee theme! 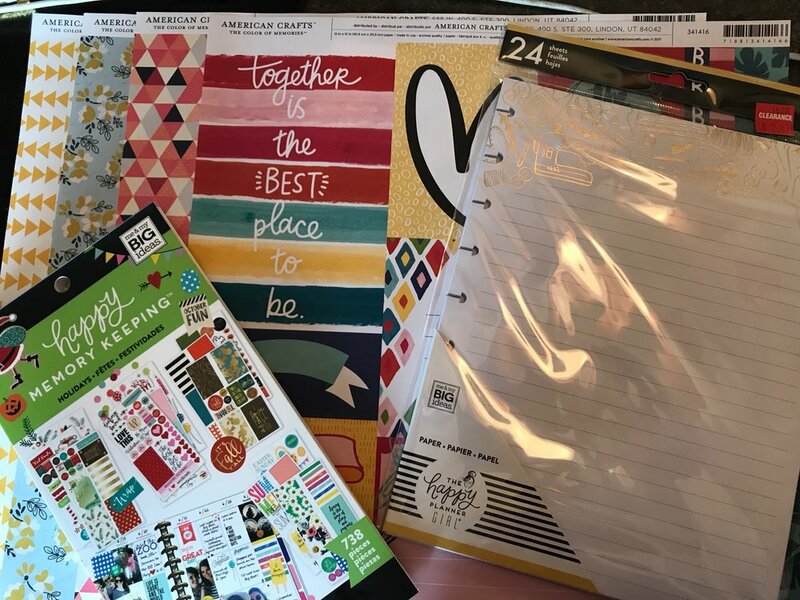 I popped into Joann’s and grabbed some more items for my WITL kit and another Happy Planner sticker book that I don’t own. My March Stampin’ Up! order arrived! I stocked up on some Cardstock in colors I’m running low on (apparently green is the color of March), some accessories (rhinestones and copper trim ribbon), a new bundle (Amazing Life stamp set and Rectangle Stitched Framelits), two embossing folders (Scattered Sequins and Country Floral), white embossing powder, and many reinkers (Pumpkin Pie, Berry Burst, Tranquil Tide, Early Espresso, Night of Navy).